Chances are your attention is focused on more than one screen when you’re watching television in your living room. By using your laptop, tablet or smartphone while watching TV, you are actually enhancing and socializing your experience during a broadcast. Social television used to be about watching a television show and waiting until the next day to talk about it with your co-workers and friends. Today, social television revolves around mobile apps, social media sites like Facebook and Twitter, mobile TV and advertisements. Last week, Randy Matheson and I led a Lunch & Learn for the Delvinia and AskingCanadians™ teams to talk about the shift in consumer behaviour and the trends that are emerging in social TV. The idea of being interactive and social started more than a decade ago with the debut of shows like American Idol, a live reality show that encouraged viewers to vote via text message or phone. Today, American Idol has opened up its voting options by allowing viewers to vote on Facebook—for free. 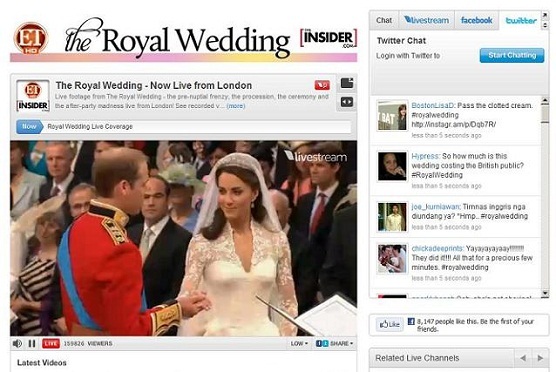 This demonstrates how social television has become an essential part of the viewer experience. And, being part of that experience makes it more appealing to watch live. When you look at recent live events that have tied in social media, the statistics surrounding viewer participation have increased significantly. For example, during the live broadcast of the 2009 inauguration of Barack Obama, CNN created a Facebook integrated status update next to the live video stream on its website, resulting in more than 600,000 status updates by the end of the broadcast. The inauguration was streamed to 5.3 million viewers, setting a record for the network. 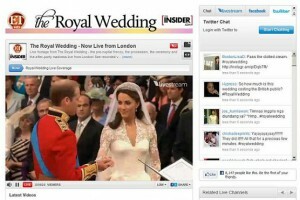 Fast forward to 2011 and the royal wedding, which sparked more than 2.7 million social mentions, with 94.7 per cent coming from Twitter. At one point during the April 29 event, live streaming peaked at 1.3 million. Statistics like this provide great insight to companies that want to use social television to engage viewers. Television series such as Glee encourage fans to continuously use the hashtag #glee while watching the show live. Glee cast members also tweet to their fans during the show, driving the conversation levels up by 300 per cent. Because of social television, networks and companies are also extending their websites and shows to become more compatible with mobile devices, which makes the two screen experience even better.